"American Ballet Theatre and Kevin McKenzie’s success is a victory for American dance and their happy influence on our cultural landscape only grows with each season." 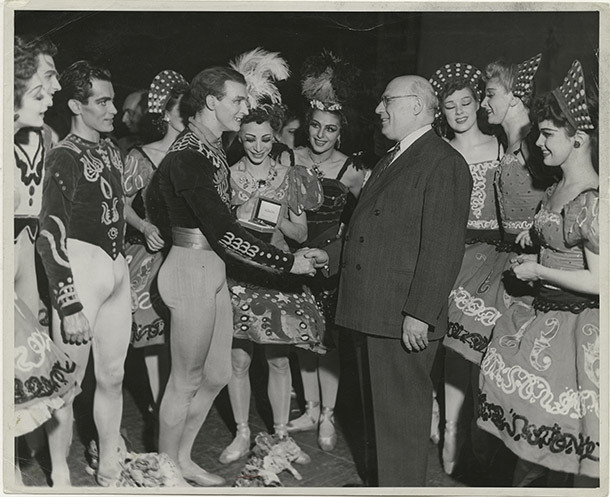 Antony Tudor receives a testimonial watch from impresario S. Hurok after an all Tudor program at the Metropolitan Opera with Nora Kaye looking on. 1945. American Ballet Theatre (ABT) is recognized as one of the great dance companies in the world. Few ballet companies equal ABT for its combination of size, scope, and outreach. Recognized as a living national treasure since its founding in 1940, ABT is the only major cultural institution that annually tours the United States. Over its 75-year history, the company has appeared in all 50 states and also made more than 30 international tours to 50 countries as perhaps the most representative American ballet company. It has been sponsored by the State Department of the United States on many of these engagements. When American Ballet Theatre was launched in the autumn of 1939, the aim was to develop a repertoire of the best ballets from the past and to encourage the creation of new works by gifted young choreographers, wherever they might be found. Under the direction of Lucia Chase and Oliver Smith from 1945 to 1980, the company more than fulfilled that aim. In the 1950s, the company represented American dance and culture in two major undertakings: it was the first major American company to tour continental Europe after World War II (1950) and the first ballet troupe to perform abroad under the auspices of the State Department (1953). 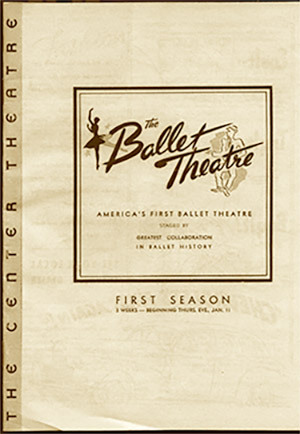 In 1960, American Ballet Theatre became the first company to tour the USSR. The company’s sold-out performances there ran from September 13 to October 23. ABT’s repertoire, perhaps unmatched in the history of ballet, includes all of the great full-length ballets of the 19th century, such as Swan Lake, The Sleeping Beauty and Giselle, the finest works from the early part of the 20th century, such as Apollo, Les Sylphides, Jardin aux Lilas and Rodeoand acclaimed contemporary masterpieces such as Airs, Push Comes to Shove and Duets. In acquiring such an extraordinary repertoire, ABT has commissioned works by all of the great choreographic geniuses of the 20th century: George Balanchine, Antony Tudor, Jerome Robbins, Agnes de Mille and Twyla Tharp, among others. 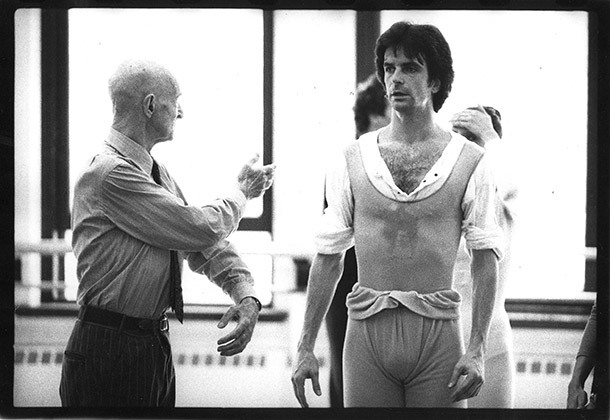 Antony Tudor coaching Kevin McKenzie in his ballet Jardin Aux Lilas. 1986. Photo: Paul B. Goode. 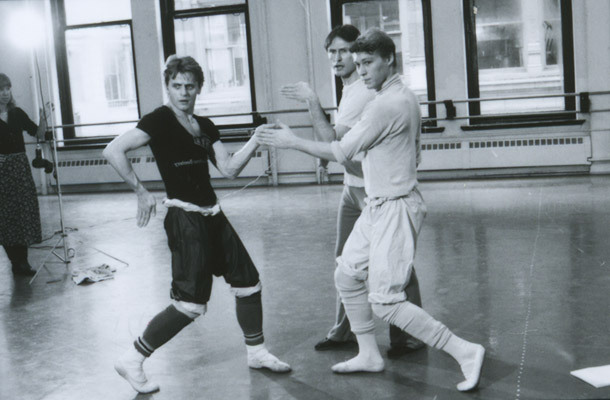 In October 1992, former American Ballet Theatre Principal Dancer Kevin McKenzie was appointed Artistic Director. McKenzie, steadfast in his vision of ABT as “American,” is committed to maintaining the company’s vast repertoire, and to bringing the art of dance theater to the great stages of the world. Over its 75-year history, the company has appeared in a total of 136 cities in 45 countries, and has appeared in all 50 states of the United States. In keeping with ABT’s long-standing commitment to bring the finest in dance to the widest international audience, the company has recently enjoyed triumphant successes with engagements in Abu Dhabi, Brisbane, Hong Kong, Havana, Tokyo and Beijing.